These are a snack that I have loved for a long time not just since I went gluten free. When my father-in-law was trying to watch his sugar, I introduced him to these bars. When I tried them myself, I fell in love with them. I do have a recipe for homemade coconut cream Larabars. These are part of the Aldi gluten free line of products. 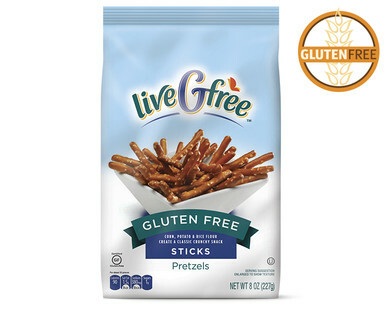 These taste just like regular pretzel sticks. Yum! At $1.89 a bag at my local Aldi, that’s not bad for a gluten free snack. I also like Aldi for their gluten free goodies. They have a caramel apple snack bar that is so good. Aldi also clearly label items that are gluten free or naturally gluten free. It makes it so much easier to find food that is safe for me to eat. My students eat lunch with me. They know that I usually have a yogurt, blue tortilla chips salsa, and mini sweet peppers. There are two different brands of blue tortilla chips that I absolutely love: Frontera and Garden of Eatin’. Both are gluten free. I can get both at Fresh Thyme which is one of my favorite grocery stores. I enjoy salsas that contain fruit flavors. Currently my two favorite are Heritage Streetfood’s Apple Salsa and Fresh Thyme’s Tequila Lime Salsa. I find the Apple Salsa at Kroger’s in the natural foods area and the tequila lime salsa at Fresh Thyme. I core the apples and then cut them into slices. I dip the apples into a nut butter such as peanut butter, almond butter, or cashew butter. 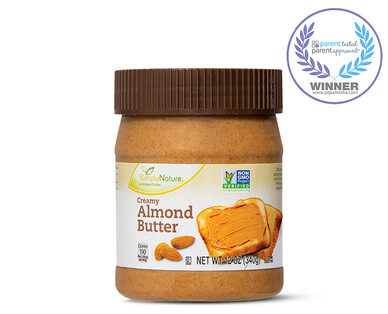 If I want freshly ground nut butter, I go to Fresh Thyme and get it there. However if I want to be budget friendly, I get it at Aldi. I can get the cashew butter for about 5 dollars a jar. I have a recipe for almond joy apple bites which is another way to use apples and nut butter. 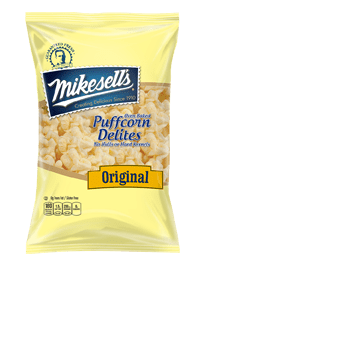 When I was growing up, my mom would get Mikesell’s Puffcorn for us. We would enjoy it as a special treat. She still loves Puffcorn. Her favorite flavor is the Salted Caramel Puffcorn. My favorite is the Movie Theater flavored Puffcorn. The Wee One is beginning to like Puffcorn. 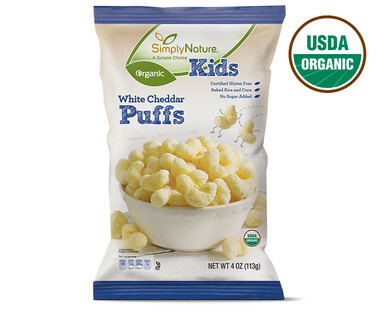 Aldi has a Simple Nature White Cheddar flavor that is also delicious. I hope these help with your gluten free snacking.